Breezy, showery Friday – could Florence remnants hit NJ next week? Friday is a day the Carolinas will not soon forget. Hurricane Florence is crawling along the coast, with landfall expected near Wilmington, North Carolina around mid-morning. 90+ mph winds, up to 2 feet of rain, and crushing 13+ of surge. Here in New Jersey, as promised, the initial impacts will be minimal. However, we have to continue watching where the remnants of Florence will track (technically as a "post-tropical depression"). A round of steady to heavy rain will be possible next week. As you step out the front door Friday morning, you'll feel a humid breeze blowing out of the east. Yup, that's the northern edge of Florence. Winds may blow to about 20 mph across New Jersey Friday, perhaps gusting to 25 or 30 mph along the coast. A few showers and sprinkles may bubble up from the south as well. Skies in South Jersey will be mostly cloudy to overcast. On the other hand, North Jersey may get breaks of sun by Friday afternoon. High temperatures will be limited to the mid 70s, slightly below normal for mid-September. A High Surf Advisory continues for the Jersey shore, with a high risk of rip currents and 6 to 8 foot ocean waves. The ocean will remain angry until the weekend. We'll keep mostly cloudy skies in the forecast for Friday night. Even though humidity will dial back slightly, patchy fog is possible overnight — that is, if the breeze dies down and stops stirring up the air. Low temps will fall into the mid 60s or so. The weekend still looks pretty great! I think far South Jersey will be plagued by clouds and even a lingering shower through Saturday. But north of the Atlantic City Expressway, we'll see at least some sunshine throughout the day and it will stay dry. Temperatures will be seasonably warm (i.e. close to normal) with highs in the upper 70s to around 80 degrees. Sunday looks good too, although clouds will start to thicken up again by midday. High temperatures will hold steady, close to 80 degrees away from the coast. As Florence digs inland, it will weaken significantly. The storm is expected to become "post-tropical" by Monday night as it makes a big "U-turn" over Tennessee, Kentucky, Ohio, and West Virginia. Post-tropical basically means the storm will transition its fuel source from the warm ocean to the atmosphere. Depending on which model you believe, there's a decent chance that the remnants of Florence will bring one more breath of steady to heavy rain to New Jersey early next week — on or around Tuesday. It's all about the exact track of the remnant low. The last couple of runs of the Euro model show the heaviest rain passing over northern New Jersey, with over 4 inches of rain falling from Tuesday early morning through Tuesday evening. (Friday morning's Euro paints 7 inches of rain over the Hudson Valley in New York.) The GFS model, meanwhile, shows a more northern storm track. That would be enough to produce a wet day Tuesday, but only in the neighborhood of a half-inch to an inch of rain. Given our antecedent soil moisture condition (i.e. "the ground is wet"), even a period of moderate rain could be enough to cause flooding of roads, rivers, streams, etc. across New Jersey. 4+ inches of deluging tropical rain? Could turn pretty hazardous in a hurry. 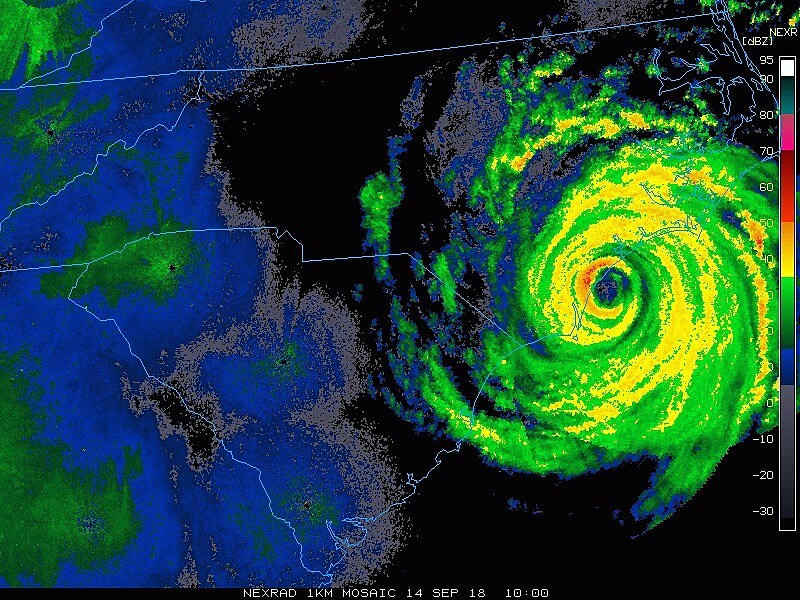 So... Keep the residents of North Carolina and South Carolina in your thoughts today... Enjoy the great weather this weekend, for a change... And let's all watch Tuesday's forecast carefully for the heavy rain and flooding threat. 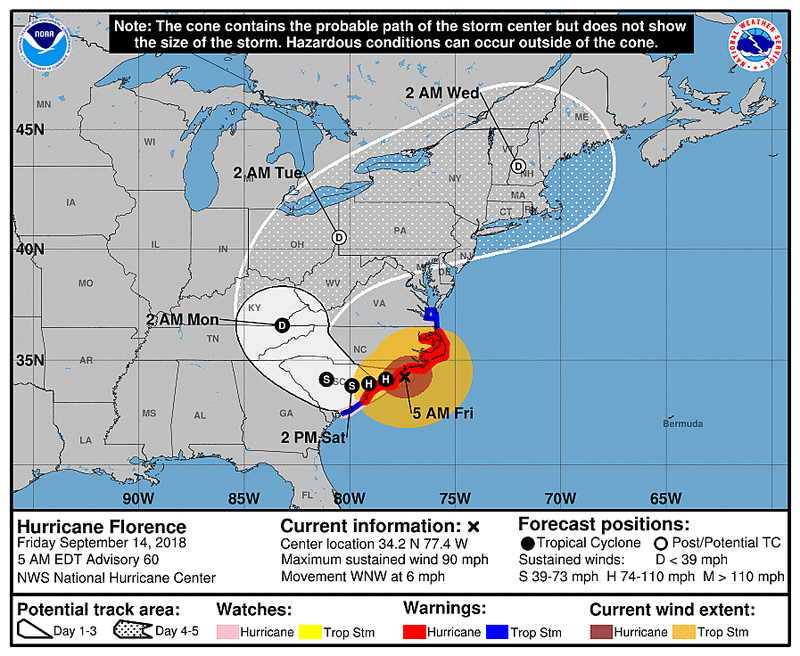 Source: Breezy, showery Friday – could Florence remnants hit NJ next week?